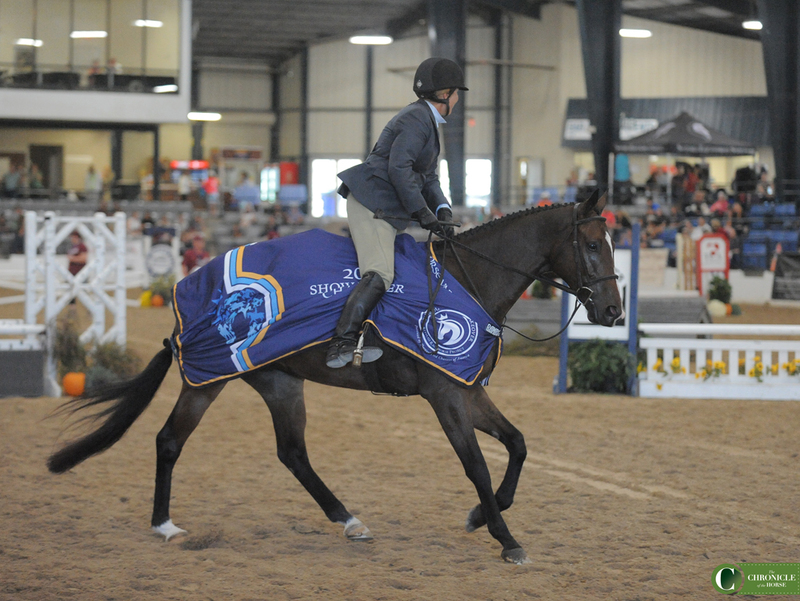 When Charlotte Cannon saddled up Seeking Fame for the show hunter finale at the Retired Racehorse Project Thoroughbred Makeover at the Kentucky Horse Park, she was returning to the show hunter ring after a nearly two-decade hiatus. Winning was not on her mind. Charlotte Cannon is all smiles coming out of the ring with Seeking Fame. Photo by Ann Glavan. 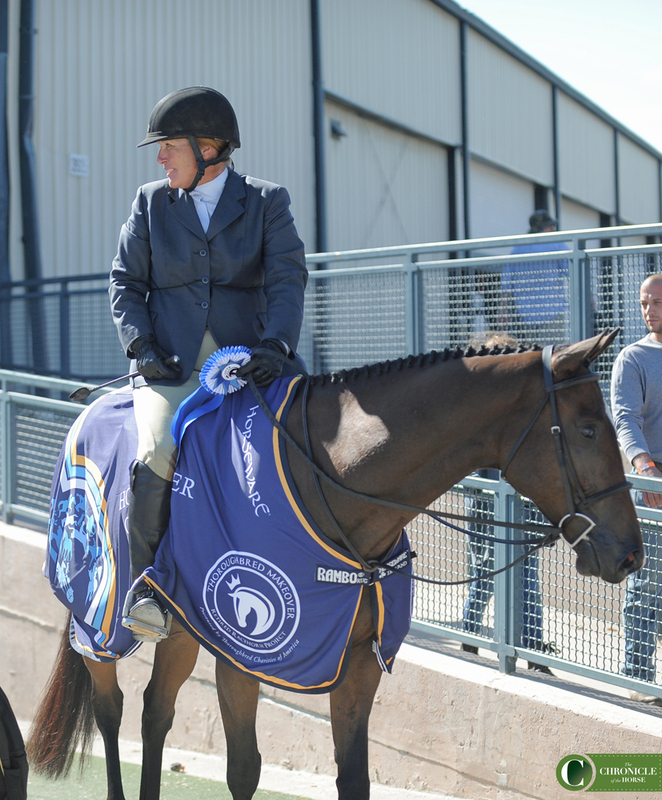 Cannon had shown in the hunters in Virginia in the ’90s, but a terrible back injury knocked her out of the sport. The hunters were never far from Cannon’s mind though, and a couple years ago she tried to get back into it with a different off-the-track horse. Then Fame came across her social media newsfeed. Charlotte Cannon and Seeking Fame. Photo by Ann Glavan. 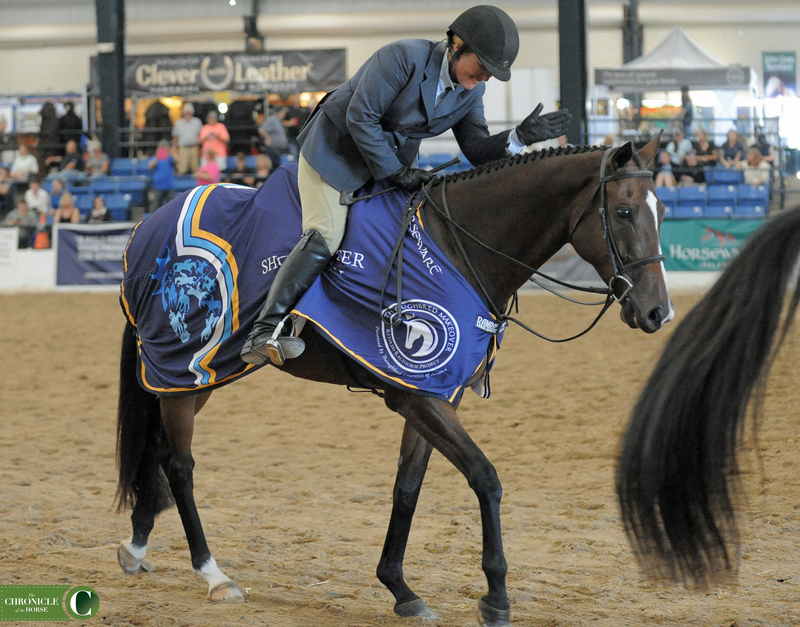 Cannon showed Fame beautifully at the makeover—the horse was the clear winner and by far the quietest horse in the field. She heads back to her Fox Point Farm in Fort Mill, S.C., and though many of the horses at the makeover are for sale, this one is getting on the trailer home. Chalotte Cannon and Seeking Fame. Photo by Ann Glavan.